ROCHESTER, N.Y. – We know about the dangers of cigarettes. They can lead to lung cancer, throat cancer, and many other diseases. Tobacco companies are now required to warn consumers about the deadly impacts; but they’re still legal. Asbestos is still legal too. Like cigarettes, it’s often linked to deadly cancers like mesothelioma – but those who acquire the illness often get sick without warning, and years after they were exposed. Asbestos is so deadly the World Health Organization (WHO) is calling for a global ban on asbestos. Rochester mesothelioma attorneys at Cellino & Barnes say thousands of people die from asbestos-related illnesses each year and thousands more are diagnosed with cancers, as a result of asbestos exposure. Since the 1970’s, asbestos use in America has greatly declined but it is still used in dozens of products. In many cases, manufacturers are not required to warn consumers that their products contain asbestos. According to one WHO study, more than 105,000 people die each year from mesothelioma, asbestos-caused cancer and asbestosis. Members of WHO say the costs of treating asbestos-related diseases are now four-times higher than the cost of manufacturing it. Despite its deadly properties, asbestos is banned only in a handful of nations. 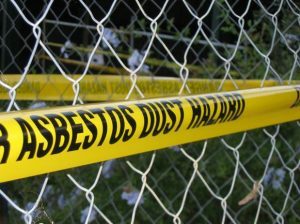 Australia banned asbestos in 2003. Many nations however, including the United States, continue to manufacture asbestos fibers. Rochester, New York has one of the highest rates of mesothelioma in the United States. According to federal statistics, more than 40 people die from asbestos-related disease each year in Monroe County alone. If you or a loved one has been diagnosed with mesothelioma or another asbestos-related illness, you may be entitled to compensation. Nationally recognized for its efforts in personal injury, Cellino & Barnes has Rochester mesothelioma lawyers who have experience fighting against asbestos the manufacturers that plagued New York. Contact a Rochester mesothelioma attorney today for a free case evaluation. NEW YORK – Some U.S. Senators have slipped new language into a transportation spending bill that could allow truck drivers to work longer weeks. The Senate Appropriations Committee released the updated text of the Transportation, Housing and Urban Development (THUD) spending bill that passed with a 30-0 vote on Thursday. The bill fixes a drafting error made in last year’s spending bill but it could also allow truck drivers to spend up to 73 hours behind the wheel each week. A Brooklyn truck accident attorney at Cellino & Barnes says many truck drivers are already battling fatigue and upping the limits could put lives at risk. Currently, truckers are restricted to 70 hours of drive-time each week. If the bill passes as it is drafted, truckers would be allowed on the roads for an additional 156 hours every year. In a –press release, the Advocates for Highway and Auto Safety (AHAS) blasted the bill’s passage through the senate committee. The Bureau of Labor Statistics and Forbes both consider truck driving one of the 10 most dangerous jobs in America today. 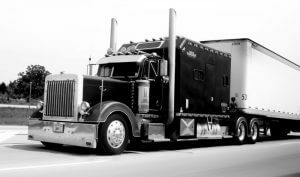 Brooklyn truck accident lawyers say truck drivers already have some of the most relaxed laws regarding fatigue in the transportation business. Chase and other highway safety advocates believe the trucking industry lobbied for the new provision despite several high-profile truck crashes in the last 12 months. Chase, frustrated with the rewritten bill, is now urging Congress to add language to the bill that would make sure truck drivers get more rest time and reduce fatigue. For the latest information on truck safety and news reports, follow Cellino & Barnes on Twitter. NEW YORK – Americans often trust their doctors with their lives but each year, millions of patients discover they misplaced that trust. 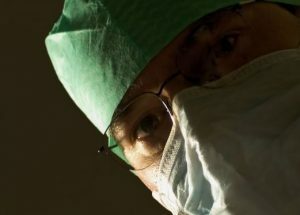 Medical errors are now the third leading cause of death in the U.S. and many experts say improvements are being swept under the rug in many states. According to the National Practitioner Data Bank, as many as 400,000 patients are killed following a doctor’s mistake – and it costs the nation nearly $20 billion each year. A Bronx medical malpractice attorney at Cellino & Barnes says many hospitals have made improvements to prevent dangerous medical errors but progress has been slow. A recent study of medical malpractice statistics determined that northeastern states had high rates of malpractice – with New York boasting 55 cases of death or major injuries per 100,000 patients. Many cases however, result in minor injuries – but these injuries can be just as costly for patients. The statistics showed that New Yorkers also filed more Treatment and Surgery-Related lawsuits than any other state and nurse practitioners were defendants in 45-percent of all cases. Physicians were the objects in roughly one-third of the claims. One recent study suggests that almost every American will receive at least one misdiagnosis in their lifetime, which can lead to serious consequences. Bronx medical malpractice lawyers say safety must be taken seriously and it is important for patients to learn as much as they can about their conditions and seeking a second opinion if they are at all uncomfortable. If you or a loved one have been misdiagnosed or suffered an injury as the result of medical malpractice, Cellino & Barnes has been recognized by Best Lawyers and with offices across New York State, they are always available to help. NEW YORK – All kinds of accidents happen every day – from car crashes to slip and fall injuries, the world can be a dangerous place. But have you ever wondered what day is the most dangerous day of the week? Someone at LiveScience figured it out. Using data from the Centers for Disease Control and Prevention, writers at the science news source determined there were nearly 40 million recorded deaths between 1999 and 2014. They said the breakdown was ‘fairly equivocal’ at first glance but it was much different when they broke down the data into different categories. A Manhattan personal injury attorney at Cellino & Barnes says preventable deaths like accidents skyrocket on the weekends. Accident-related incidents like car crashes spiked on Saturdays, according the LiveScience’s research. Since 1999, more than 42,000 people have been killed in car accidents on Saturdays and another 40,000 deaths happened on Sundays. 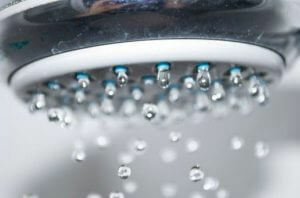 LiveScience said more than 685,000 heart attacks occurred on the first two work days each week. According to the CDC, nearly 350,000 heart attacks happened on Mondays over the last 15 years. ROCHESTER, N.Y. – When you’re purchasing a new vehicle, safety is often a top priority. Most consumers would agree ‘bigger is often safer’ but if you’re looking at pickup trucks, the general rule doesn’t always apply. According to the Insurance Institute for Highway Safety (IIHS), only one truck earned a “good” crash test rating. The test is called a “small-overlap test,” which simulates a front-end wreck at a speed of 40 mph. Safety experts at the institute said Ford’s F-150 pickup was the only model to completely pass the test. Ford’s competitors like the Chevy Silverado 1500 and Toyota Tundra received mixed reviews while Dodge Ram pickups were rated “marginal,” which is a nice word for nearly a failure. Rochester car accident attorneys at Cellino & Barnes say the new crash ratings should be concerning for pickup drivers. IIHS safety experts said both consumers and businesses should carefully consider their test results before purchasing a new vehicle or fleet. According to the crash test results, Ram trucks had several red flags. In multiple tests, parts of the trucks’ structure punched nearly two feet into the cabin. Researchers also tested roof strength of each truck. Unfortunately, roof safety was also widely varied from truck to truck. Fords, Chevys, GMCs, and the Toyota Tundra extended cab had “good” ratings for roof strength. Once again, the Ram models did not pass the test with flying colors. Although all the vehicles tested meet federal safety standards, Rochester car accident attorneys say there is clearly room for improvement. Watch the video to see the crash tests in action. BUFFALO, N.Y. – The future of vehicle safety is already on display. Fully autonomous vehicles are on test roads but you’ll see some cars, fit with an array of sensors and cameras, are already making an impact on real-world roads. Recently, one driver uploaded a video showcasing how this relatively new technology can prevent an accident. The video, which was recorded in April 2016, shows a Tesla Model S automatically swerving to avoid a merging truck. A Buffalo car accident lawyer at Cellino & Barnes says although the video shows promising improvements in road safety, it also shows the need for drivers to stay sharp behind the wheel. “Tesla Model S autopilot saved the car autonomously from a side collision from a boom lift truck. I was driving down the interstate and you can see the boom lift truck in question on the left side of the screen on a joining interstate road. Once the roads merged, the truck tried to get to the exit ramp on the right and never saw my Tesla. I actually wasn’t watching that direction and Tessy (the name of my car) was on duty with autopilot engaged. 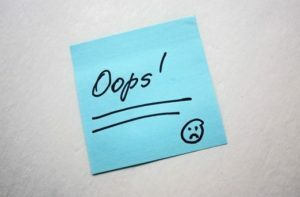 I became aware of the danger when Tessy alerted me with the “immediately take over” warning chime and the car swerving to the right to avoid the side collision. Although it’s not fully autonomous, Tesla’s Autopilot feature allows the vehicle to steer itself in emergencies and warn the driver of a pending side collision. In practice, the system has successfully shown that it can automatically adjust to avoid a crash. Many safety advocates welcome the safety improvements but warn about the dangers of relying on them. Tesla’s crash avoidance features were also recorded in action in November when a semi-truck was close to colliding with a different Model S.
Buffalo car accident attorneys say the features are a promising glimpse into the future of vehicle safety but there is no substitute for a safe driver. NEW YORK – If you own a Mercedes diesel, your vehicle may have had a “defeat device” used to cheat emissions testing, a new lawsuit claims. The automaker, owned by Daimler, has denied the accusation but it wouldn’t be the first time a company has denied using the software. Volkswagen famously equipped millions of diesel vehicles with software designed to make it appear that a vehicle was operating within emissions standards. Following emissions tests, the “Clean Diesel” vehicles would emit up to 40 times more pollutants. According to the complaint filed in February, new tests have found Mercedes BlueTEC cars emit greater amounts of nitrogen oxide in road tests that it does in controlled lab tests. The research suggests the luxury vehicle company is implementing a “defeat device” similar to the one Volkswagen had used. A Brooklyn Volkswagen emission lawyer at Cellino & Barnes says the cheating software, if it is installed in a vehicle, misleads consumers and could be dangerous to your health. Volkswagen also did not admit it was using test-cheating devices in its Clean Diesel cars until the U.S. Environmental Protection Agency formally announced proof of the shady strategy in September of 2015. At that time, the EPA had already accused Volkswagen of deliberately dodging regulations since 2008. The new complaint against Daimler claims the automaker knowingly programmed its BlueTEC filtration systems to emit illegal levels of nitrogen oxide in low temperatures. The EPA has since requested information from Mercedes regarding these accusations but it has not officially launched an investigation. Brooklyn Volkswagen emission lawyers at Cellino & Barnes say about 11 million VWs have rigged exhaust emissions. If the allegations against Daimler are proven to be true, many more customers could be affected. BUFFALO, N.Y. – This time of year can be dangerous for anyone who uses the road. Pedestrians, bicyclists and drivers are at all at risk because of the sun. During the spring and fall, the sun can cause what’s called “sun blindness,” or sun glare – and it can be incredibly dangerous for those who behind the wheel. A Buffalo car accident attorney at Cellino and Barnes says this condition spikes because of an astronomical event that only occurs twice in a year. Making matters worse, most cities are constructed on what’s called a “grid.” This means the roads, for the most part, run east to west and north to south. According to one British study, sun glare causes roughly 3,000 accidents each year – and due to the fact that the U.S. boasts more drivers, the number of accidents could be much greater in America. The bright sunlight could be affecting drivers differently depending on their age, a recent federal study suggested. 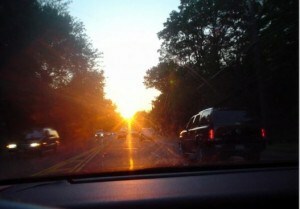 Older drivers were found to be more likely to cause a crash if their vision was obstructed by a glare. The study also notes that other bright objects, like billboards and headlights, can also cause vision impairments for the elderly. According to statistics from the National Highway Traffic Safety Administration, 38.5 percent of the drivers who reported a glare-related crash were over the age of 45. Buffalo car accident lawyers suggest putting sunglasses in your vehicle, just in case. Many sunglasses can minimize sun glare – and most cars have a convenient compartment to hold your shades. A clean windshield can also improve a driver’s ability to see through a glare, Barnes said. Dirt and grime can sometimes refract and reflect light but keeping a clean windshield can minimize the stress on your eyes. Safety advocates also suggest considering alternate routes during your morning and evening commutes. Using north-and-south roads should allow you to avoid sun glare – or you can do a little research and plan your commute well before or after sunrise and sunset. Finally, attorneys say if you are getting blinded by the light, slow down. Speed is also a factor in many glare-related accidents. Slowing down could save a life. GARDEN CITY, N.Y. – You may have been in this awkward position before: you’re driving. Your phone rings from your pocket or your purse on the passenger seat. Did you answer it? Be honest. Many drivers choose to take that call or text and too often, it causes a crash. In fact, some studies say you’re 23-times more likely to cause a crash if you’re texting behind the wheel. Both doctors and lawyers have seen their share of distracted drivers. Unfortunately, it’s usually after the fact. A Long Island car accident lawyer at Cellino & Barnes says victims of distracted drivers often go through emergency rooms. According to a National Highway Traffic Safety Administration study, about 660,000 drivers are using hand-held cellphones or another electronic device right now, at this moment. Researchers say distracted driving is comparable to being drunk. Studies have shown that texting and driving is roughly the same as having a blood-alcohol level of 0.19, which is twice the legal limit in New York. With all this new information coming to light, police are ramping up enforcement. Recently, law enforcement agencies have begun a “crackdown” on distracted driving in New York and other states. The Washington State Patrol reported officers pulled over more than 18,000 drivers last year for talking on a hand-held cellular device. Another 4,000 drivers were ticketed for texting – but police believe that’s just a small fraction. If you’ve been injured because of a negligent or distracted driver, the Long Island car accident lawyers at Cellino & Barnes have experience achieving justice and they can help you and your family get the best result possible from a claim. Contact a Long Island car accident attorney today for a free consultation.